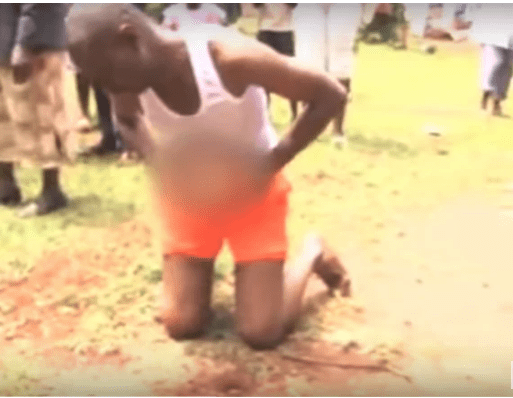 Home » » Video: Houseboy caught cheating with his employer’s wife. Video: Houseboy caught cheating with his employer’s wife. The man shown in the video was rreported to have slept with his employers wife and also bragged about it to his employer. It was also reported that he eloped with the said woman. That has angered the Husband who sort spiritual assistance from a witch doctor to deal with his ungrateful employee. 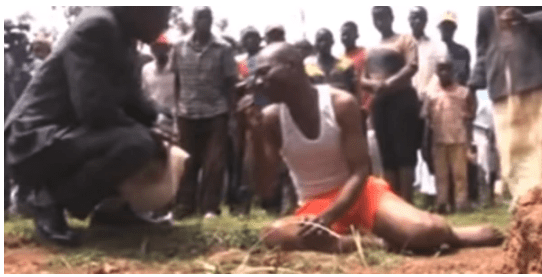 It is seen in this video, the man is rolling and pleading for forgiveness as maggots discharged from his genital organ.